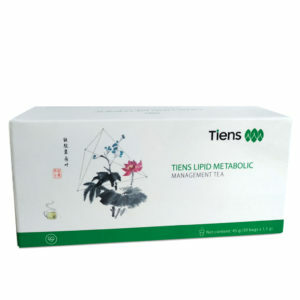 According to the Chinese, a healthy digestive system is the guarantee of health of the entire body. 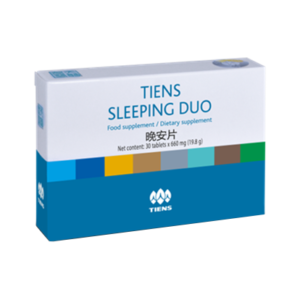 Despite that, due to bad eating habits and excessive stress, we increasingly experience various kinds of stomach and intestinal discomfort. TIENS have thus created Digest – a natural supplement boosting the proper functioning of the digestive system. One of Chinese proverbs says “Kindney efficiency is innate, stomach efficiency – acquired”. Indeed, gastric and digestive problems are most often self-induced. We do not exercise enough, which slows down the metabolism. We lead a stressful lifestyle. 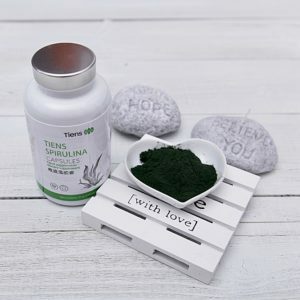 We consume highly processed foods containing preservatives that destroy the bacterial microflora of the digestive tract while, in fact, it is the contents of the gut bacterial flora that is crucial for the correct functioning of the human body. In the digestive tract of a healthy person, the beneficial probiotic bacteria (Bifidobacterium and Lactobacillus) dominate. 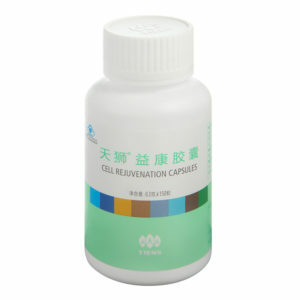 One can find them in fermented dairy products, pharmaceutical preparations and prebiotics. Prebiotics are indigestible food ingredients that stimulate the growth or activity of bacteria inhabiting the colon and benefiting the health of the host. Prebiotic polysaccharides include inulin and some types of starch resistant to the action of the digestive enzymes. Among oligosaccharides with documented prebiotic properties are fructooligosaccharides (FOS). Another Chinese proverb states “If the stomach is sick, 100 other diseases arise”. Hence, a correct diet supports our wellbeing, and the foods we consume may not only contain the appropriate nutritive ingredients, but can also help improve our health. 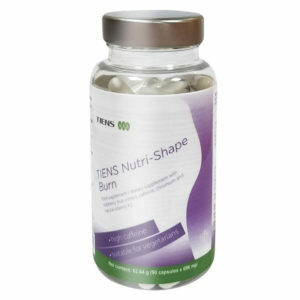 It is mostly plant foods that have been considered pro-health and, for this reason, have been named functional foods. 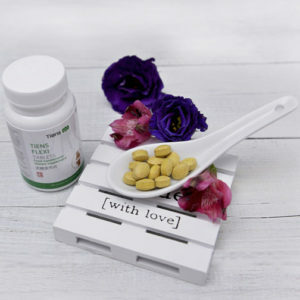 Among health-improving substances are dietary fibre, amino acids, proteins, vitamins and minerals, polyunstaurated fatty acids choline and lecithin, as well as the already-mentioned dairy fermentation bacteria and oligosaccharides. 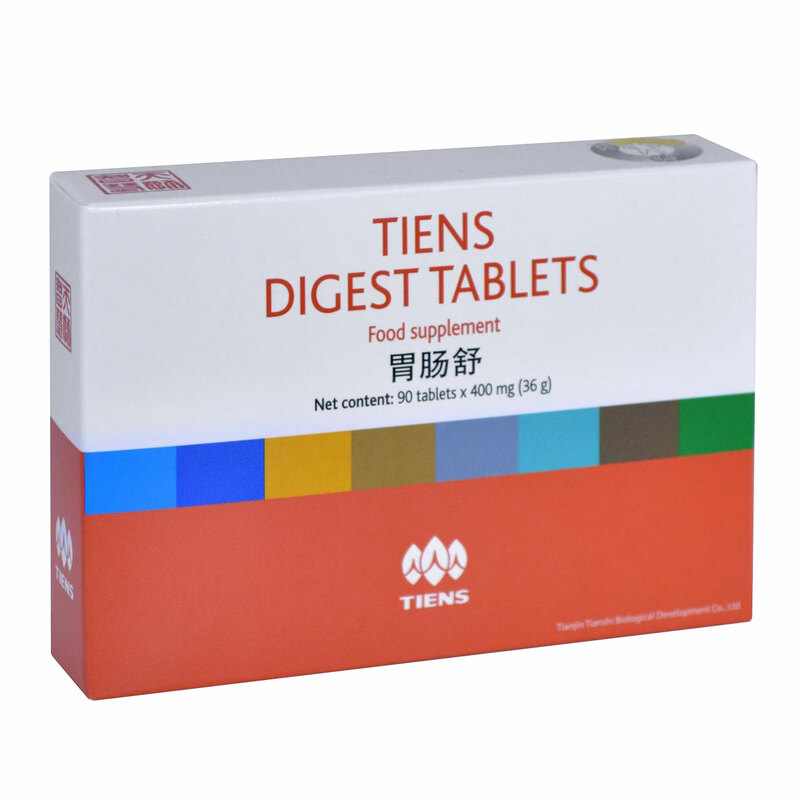 Many of these substances have been included as the ingredients of Digest TIENS in order to support the correct functioning of the digestive tract in a natural way. 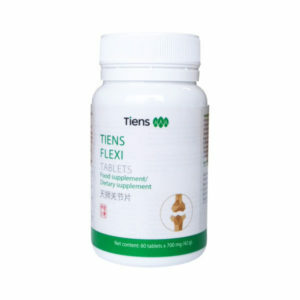 Digest TIENS contains dietary fibre, including inulin, apple pectin and cellulose, but also flax seed and anise as well as live bacterial cultures: bifidobacteria and Lactobacillus acidophilus. Dietary fibre, also known as food fibre, is a set of various plant substances including cellulose, pectins, lignin or vegetable gums. Fibre, although not digested by the enzymes of the human digestive tract, positively affects its functioning. By absorbing water it swells. 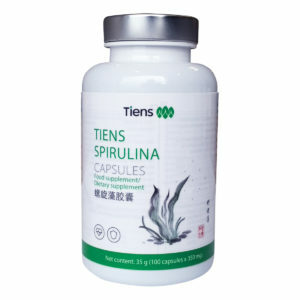 It boosts the intestinal peristalsis. Pectins are water-soluble components of dietary fibre found in cell walls of diverse plants. The ones included in the Digest supplement come from apples. It has been proved that a daily intake of 6 grams of pectin contributes to maintaining healthy blood cholesterol levels, while pectin (10 grams) consumed during a meal reduces the increase of glucose levels in the blood after the meal. Flax seed, also called linseed, is one of the most popular products used in natural medicine. It contains a multitude of beneficial ingredients such as unsaturated fatty acids, fibre, easily-digestible proteins, vitamin B1 and B6 (which contribute to the proper protein and glycogen metabolism), magnesium, calcium (contributing to a proper functioning of digestive enzymes), iron, zinc (contributes, among other things, to the correct metabolism of carbohydrates and fatty acids) as well as one of the components of lecithin - choline (contributing to a proper lipid metabolism). Flax seed has been used in herbalism as a gastroprotective agent alleviating ailments of the digestive system. The ingredients of the preparation exhibit the following actions: - fibre boosts intestinal peristalsis, facilitates defecation and eliminates flatulence, improves digestion, - the probiotic bacteria supplement the natural bacterial flora of the digestive tract, - pectin helps maintain the proper level of blood cholesterol (provided the daily intake of pectin is 6 grams), - flax seed works as a gastroprotective agent, - minerals and vitamins found in flax seed contribute to the proper metabolism of a variety of substances. DOSING Use 2 tablets daily. The preparation is to be taken after a meal. Tablets are to be thoroughly chewed and washed down with a glass of water.